As Britain emerged from post-war austerity into the comparative affluence of the 1960s, its people began to explore broader tastes in foods. For many English people their first taste of Indian food would have been out of a packet. 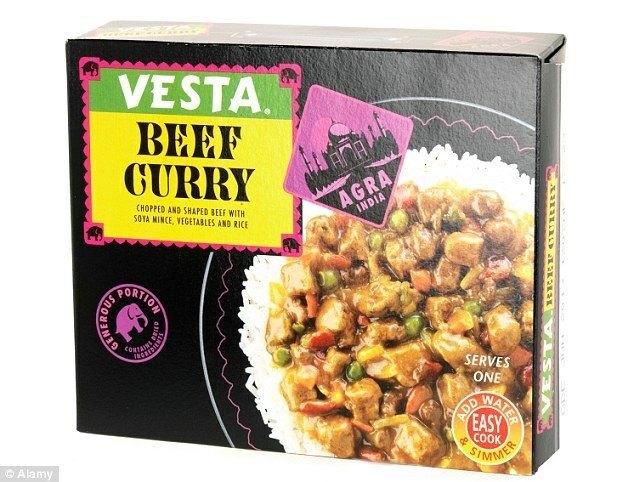 Vesta foods produced a dehydrated version of beef curry. Preparation was simple: “Add water & simmer”, according to a note on the pack. When I moved to Coventry in 1968 and began house hunting, my wife and I viewed a number of homes occupied by families recently arrived from the Indian sub-continent. The aromas that greeted us were a new experience for us. Garlic and spices were still not an accepted part of British cuisine. Our reaction calls to mind another ‘I’ word: ignorance, a state that often underlies prejudice. Five years later we lived for a while in Natal, a province of South Africa now known as Kwa Zulu Natal, that was host to a large population of people of Indian origin. We spent many Sundays, with other families, around the outdoor pool at the small local hotel, eating curry washed down with Lion lager. The notion of eating spicy food in a hot climate might seem counter-intuitive. It should not be. The increased perspiration that results evaporates, helping the body to keep cool. Later we began to develop a taste for Indian food and learned that ‘curry’ is a British invention. In 1990 I was part of a team carrying out maintenance on the power station at Ironbridge. It was there I discovered the style of Indian cuisine called ‘Balti‘. Indian cuisine comes in many different forms, each with a different blend of spices. Rick Stein’s series for the BBC, broadcast in 2014, explored the variety of styles of cooking to be found in different provinces across the sub-continent. I have Rick’s book and have used it to make my own exploration of Indian food. I love experimenting with different spice combinations. The warmth of cloves and cinnamon, the tang of cumin and coriander, and the heat of chillies. And there is an enormous variety of chillies, with a wide range of heats, now available. You can even grow your own, in a window box if you do not have a garden. Rick recommends dried Kashmiri chillies for their ‘excellent flavour and moderate amount of heat’. Not all of the ingredients Rick describes are easily available near my home. Tamarind, for example, is something I have yet to try. According to Rick, ‘it is used to add a slightly sweet tartness to many Indian dishes’. No doubt I have experienced this when eating in an Indian restaurant. I have yet to explore its use in my own cooking experiments. What is your favourite cuisine? How did you discover it? By franklparker in General posts on April 11, 2016 . Hi Frank, great post. My favorite cuisines are Vietnamese and Thai Food. It’s too difficult to choose one over the other. In both cases, as with any other cuisine, I like my foods super spicy. I do enter hot food contests whenever I have a chance. The wonderful spices you mentioned add to the flavor, and if the heat I insist on having burns my taste buds, they always grow back in a couple of weeks. I discovered this type of food on my honeymoon (years ago), including the fact that I liked hot foods. While my husband loves Indian food, I have to be in the mood for it. It contains many peculiar flavors that Belgian taste buds are not used to. But, it is growing on me. I love Thai food and am always open to Italian food as well.